The increasing ubiquity of mobile devices use has opened up new avenues in the study of human mobility. To face the mobility challenge will require coordinated actions from the private and public sectors. 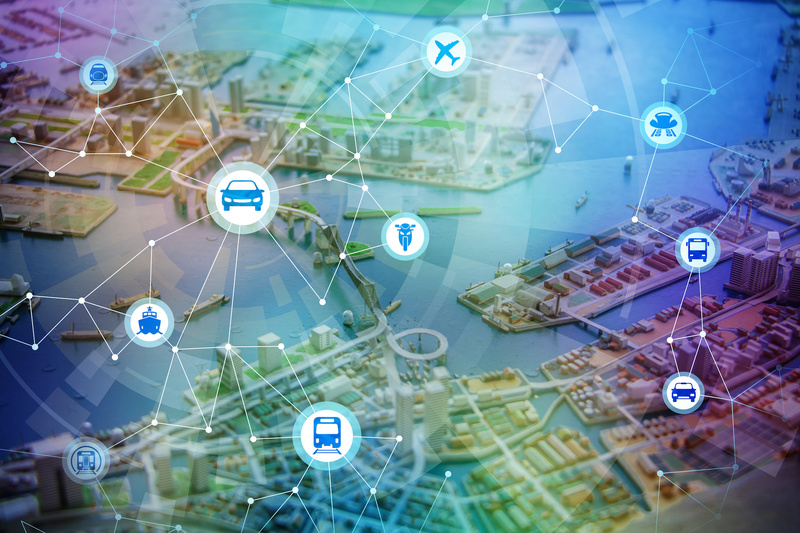 Technological advances, the massive use of apps and the application of Big Data techniques and technologies and business model innovation will be needed to realize productivity improvements while creating more sustainable environments in our cities. In a recent study, MOCA’s scientific team has discovered, for one hand, that urban mobility patterns can be predicted using geolocation data from mobile devices and for the other, that mobility patterns follow Zipf's mysterious law. This research comes up from the project BD2K (Big Data to Knowledge) funded by the CDTI and European Union funds, which has developed the basis of MOCA's Machine Learning algorithms. The study was realized with real data from over 1 million people who agreed to share their location in their mobile applications. More than 3.5 billion data points were analyzed anonymously during one year, and from them, urban mobility paths were built during the same period. The accuracy of the information was complemented with other systems such as Wi-Fi devices or Bluetooth beacons. The quality of the project is based on the high spatial resolution of the data, which allows detecting the changes of position of any user (their mobility) between adjacent streets. This level of resolution is available for any urban and rural area in Spain and Europe. Once we have all the routes in a fixed time interval (one day, one week, one month, one year, etc. ), our team evaluate how often each of them appears. This simple classification allows discerning the daily routes, such as going from home to work and vice-versa, from the less common ones like business trips. This type of ranking can also be applied to the places visited by a user so we can know whether the user lives or not in a certain place. It enables us to differentiate between segments of tourists and residents. Combining the analysis of both parameters, routes, and places, it is possible to establish segments by location and lifestyles. For example, a person who goes to the football stadium twice a week is classified as a sports fan while a person who has frequent visits to places for practicing skiing is classified as adventurous. This analysis is done in an equivalent way for all users, so it is possible to identify profiles anonymously, keeping user's privacy. 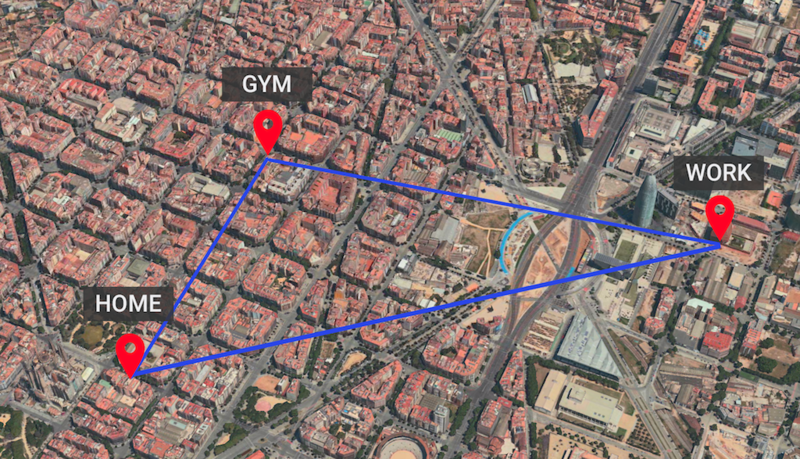 When our scientific team analyzed the urban mobility in Spain noticed that mobility routes during 2016 also follow the mysterious Zipf Law and that it is applied in any spatial resolution such as the neighborhoods, districts, cities, provinces and autonomous communities. 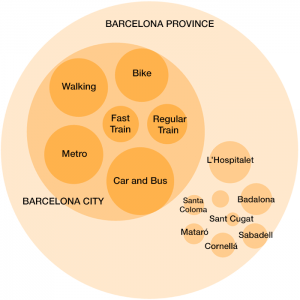 For example, in the case of mobility routes by provinces and taking as starting point Barcelona, they have found that the most frequent is Barcelona - Girona - Barcelona by car. Another important result of the study is the ability to detect and predict the mode of transport. This means that MOCA Platform will be able to know if people travel by train, bus, bicycle or car. A pictures below shows a graphic from the research. This is a great advance for our platform since the algorithms will be able to analyze and better segment users based on urban mobility and mode of transport. The research has been lead by our CEO, María Fernanda González, PhD in Quantum Physics and also by our CTO, Oleg Morajko, PhD in Parallel Computing. This research has also counted with the valuable contribution of Philippe Binder, PhD in Quantum Physics, an expert in Chaos Theory and current teacher of physics at the University of Hawaii at Hilo and the excellent work of our scientific team composed by 3 highly dedicated Astrophysics Saida Díaz, Wilmar Fajardo and Juan Camilo Guevara. In this study, there were used modern techniques of big data analysis from mathematics, computer science, chaos, topology and quantum physics among others. 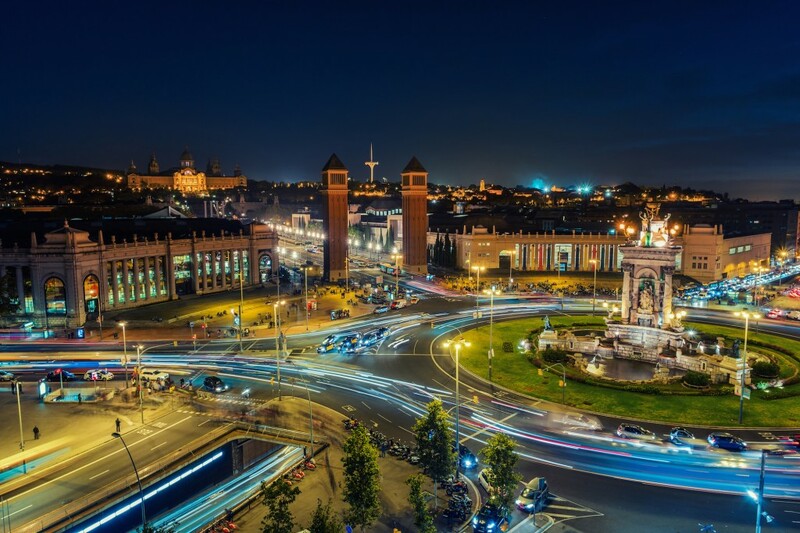 "The result of this research has important implications for smart cities because now, we're able to identify and predict urban routes and the mode of transport as well as identify users by tourists or residents." says our CEO, María Fernanda González. The result gathered will allow MOCA platform to offer city councils and governments a powerful tool for urban mobility analysis, since they can anticipate the needs of citizens by improving their security, building a sustainable urban growth and adapting the services to the real needs of the city.